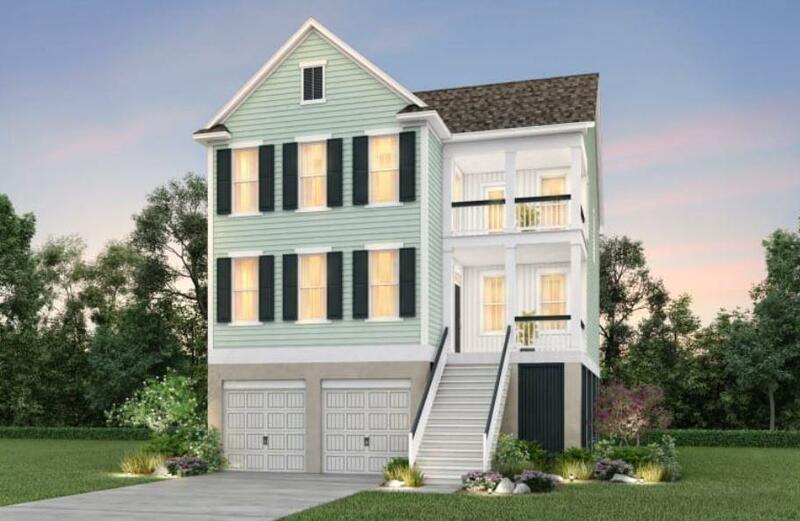 BETTER than a model home! 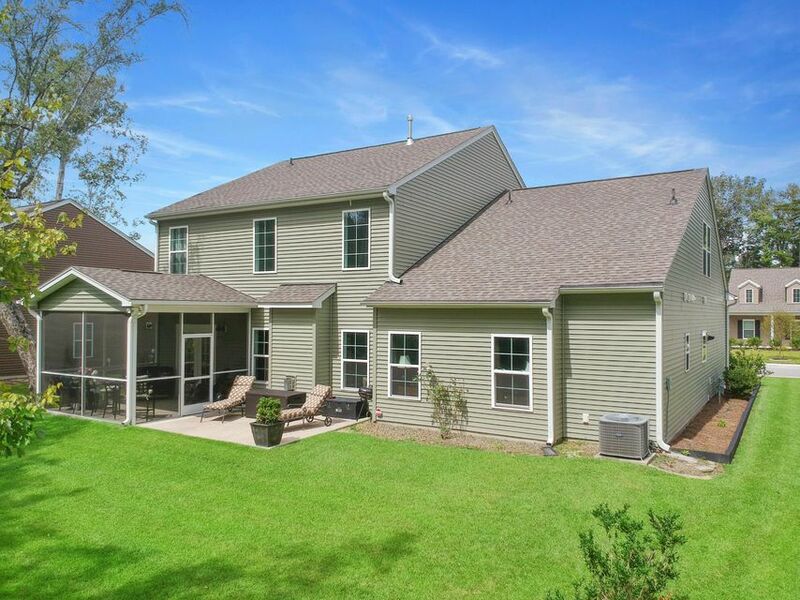 NICER than new construction! 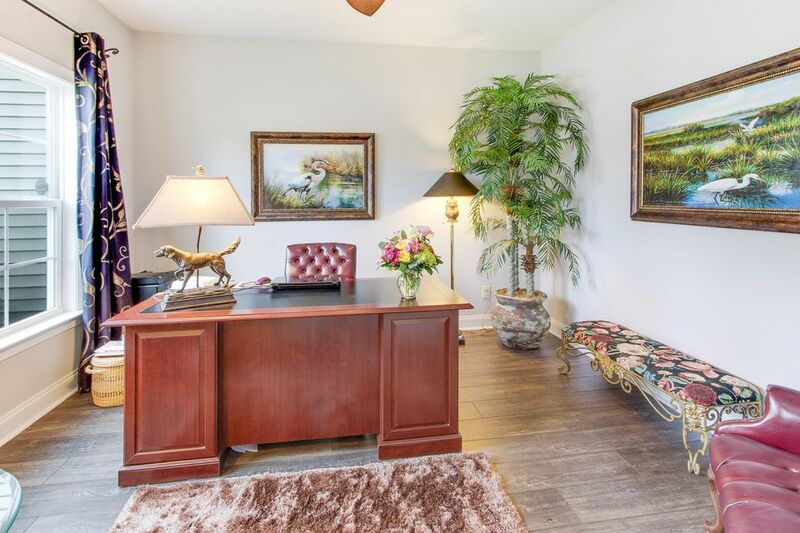 Just a short drive to BOEING! 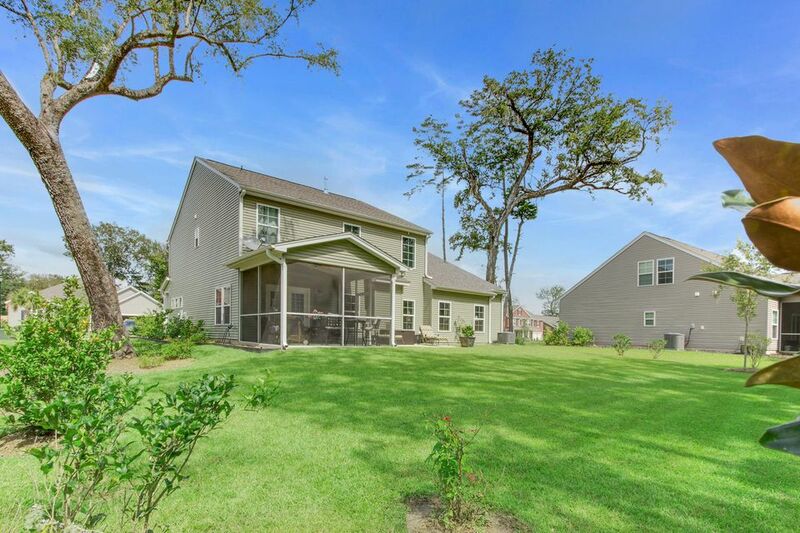 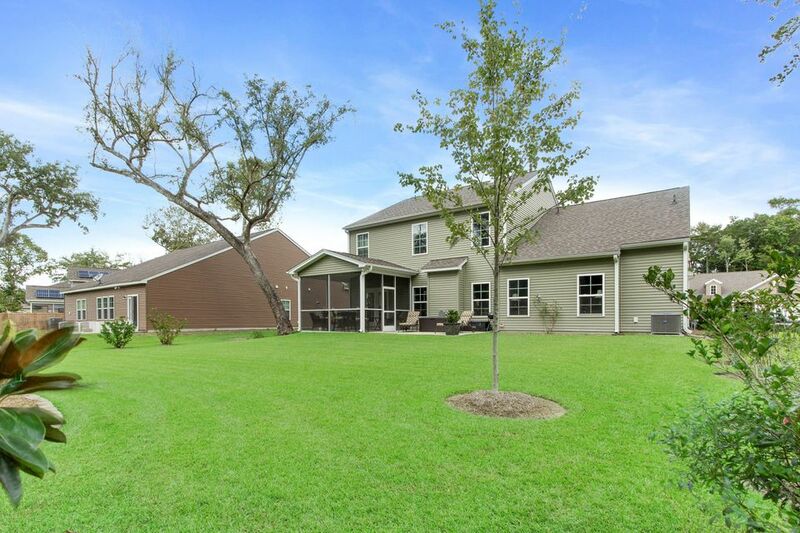 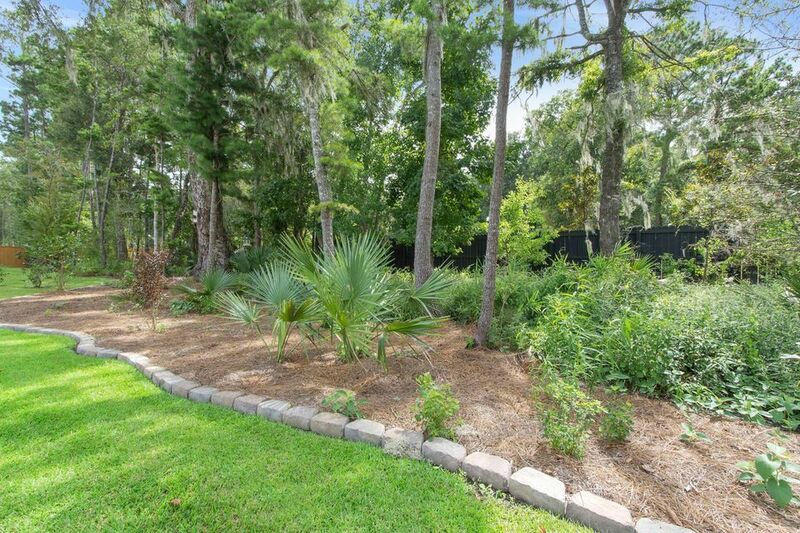 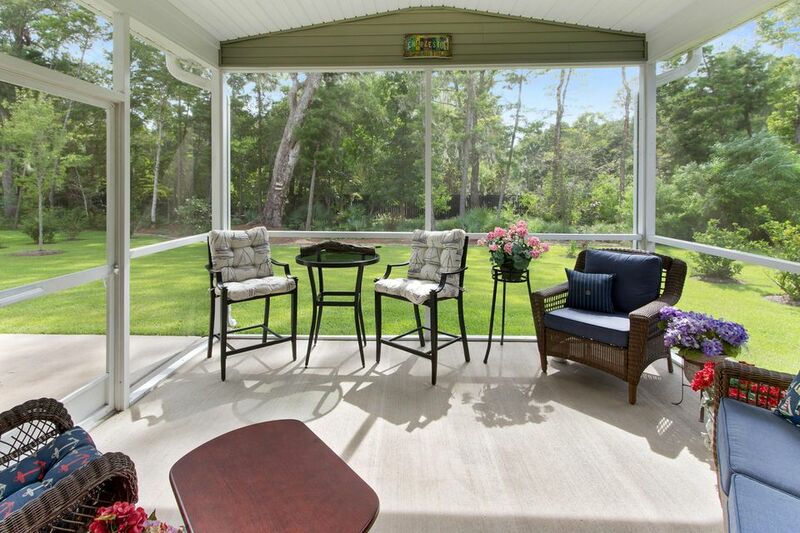 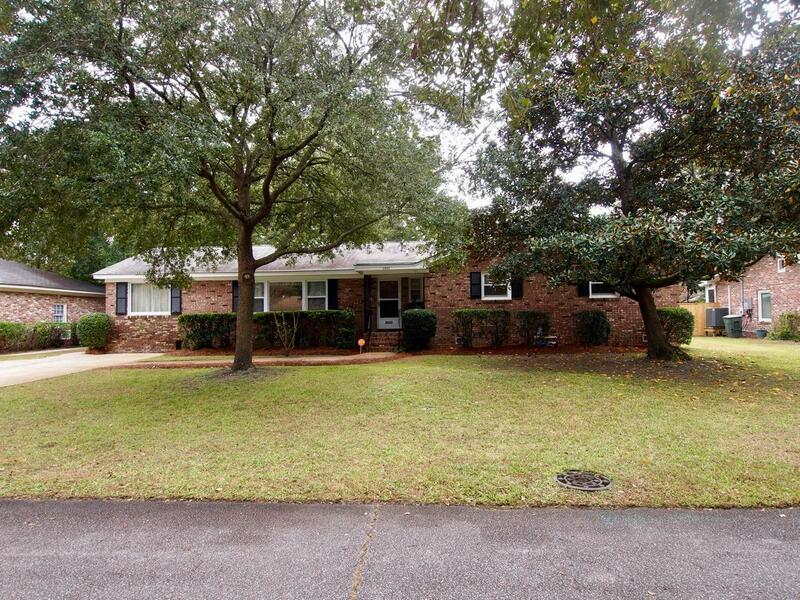 Every inch of this home and yard have been meticulously cared for and maintained! 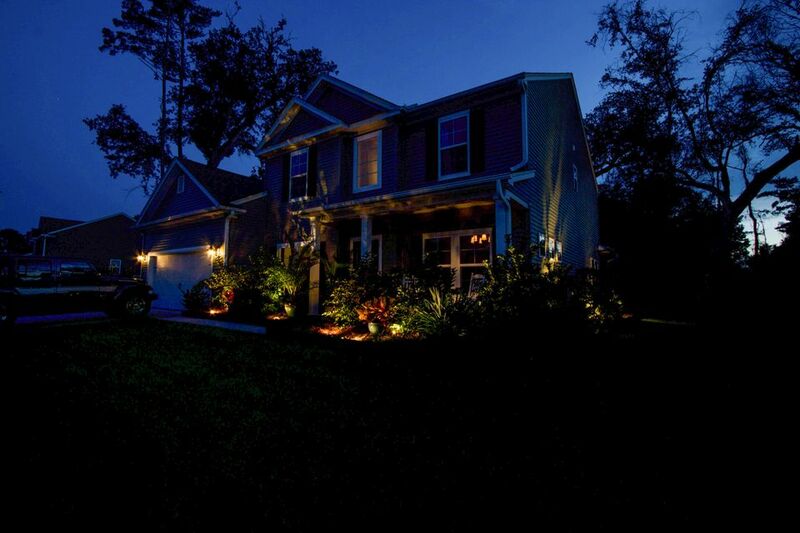 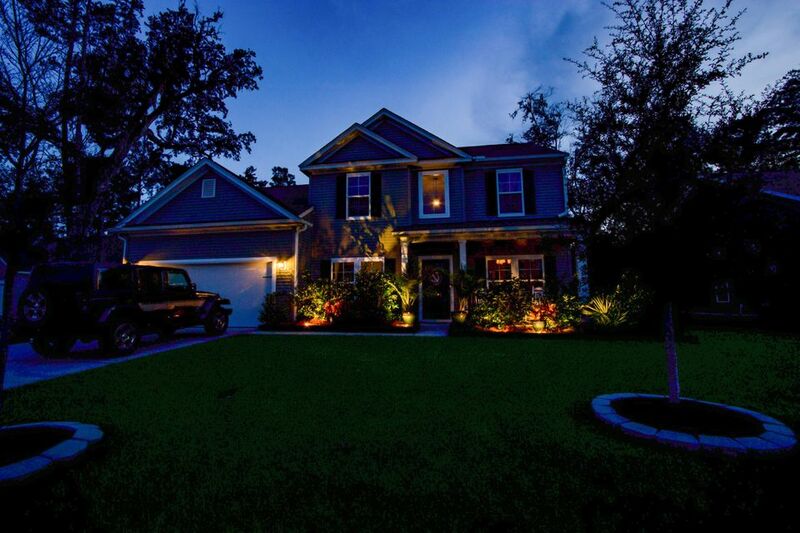 Be sure to drive by in the evening and check out the landscape lighting! 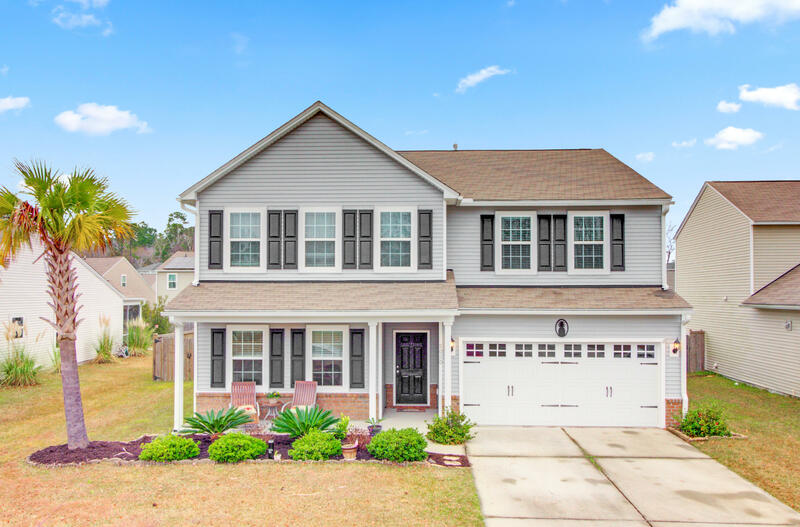 From the moment you step in the front door you will notice all the upgrades and extras that have been added to this home! 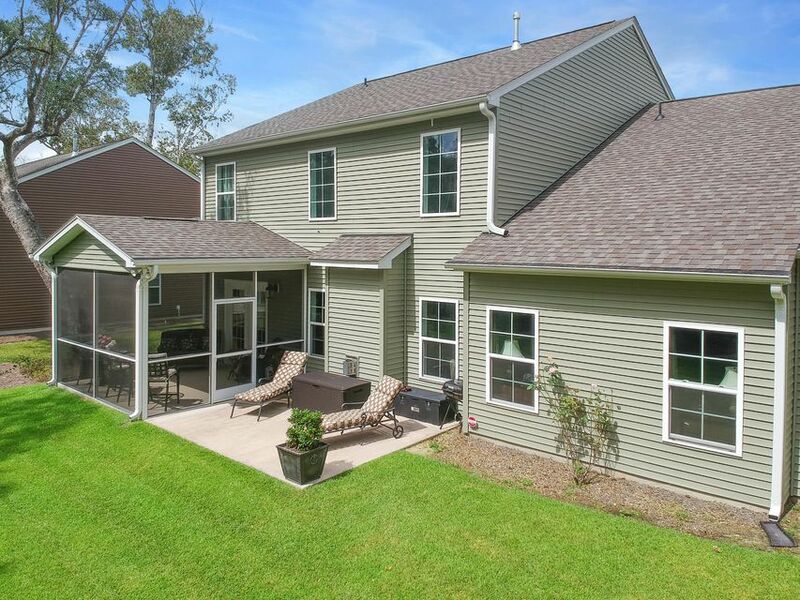 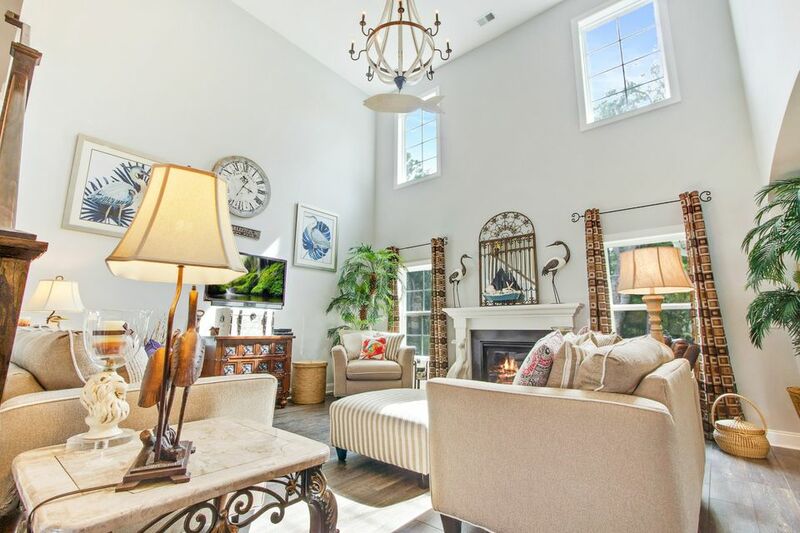 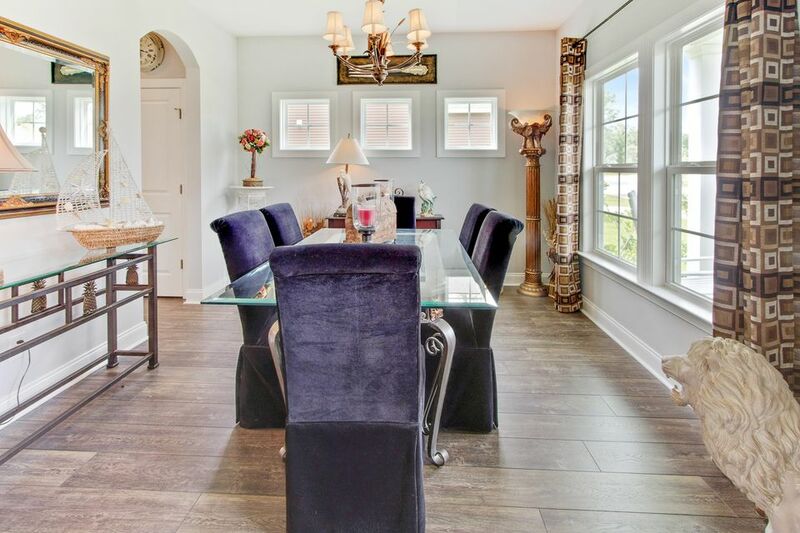 The 2 story open foyer is adjacent to the office with double French doors AND the formal dining room. 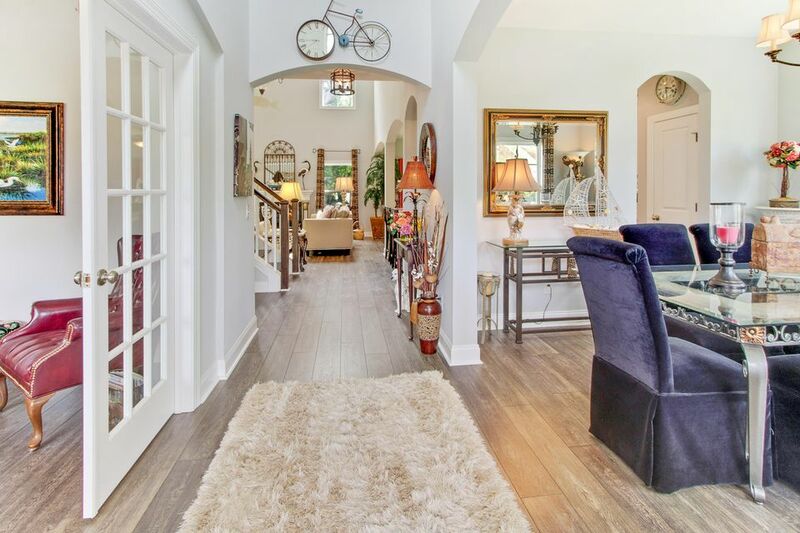 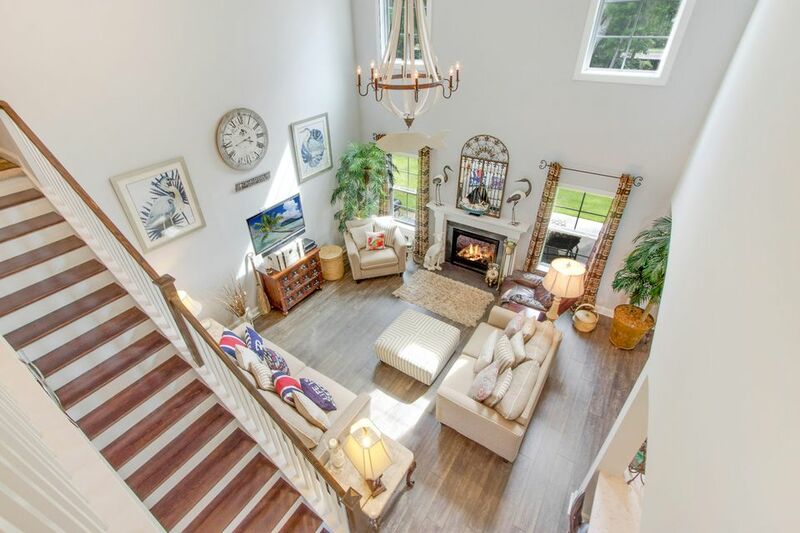 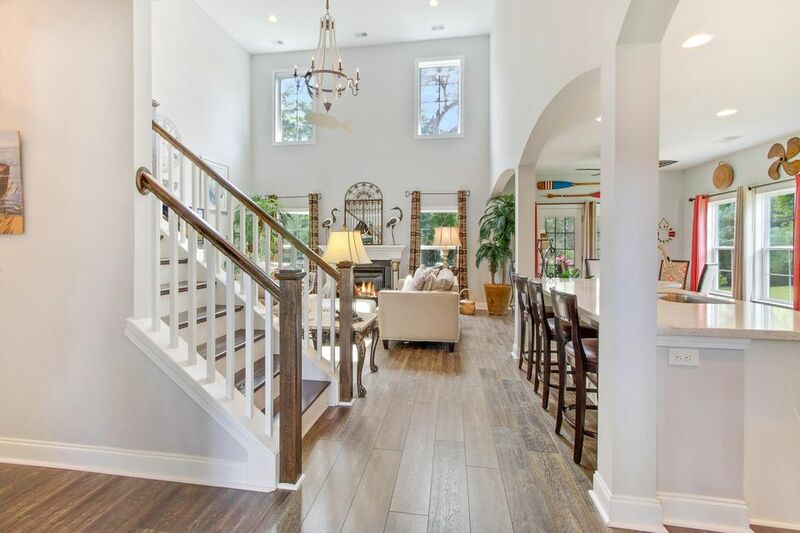 Further down the foyer you enter the bright and open living space with soaring ceilings, extra windows for lots of natural light, beautiful wood floors, gas fireplace, custom fixtures, lighting, and much more! 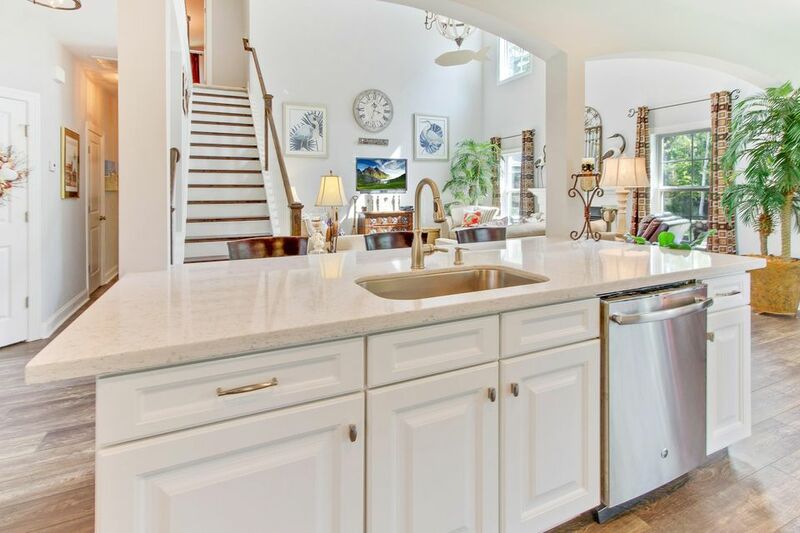 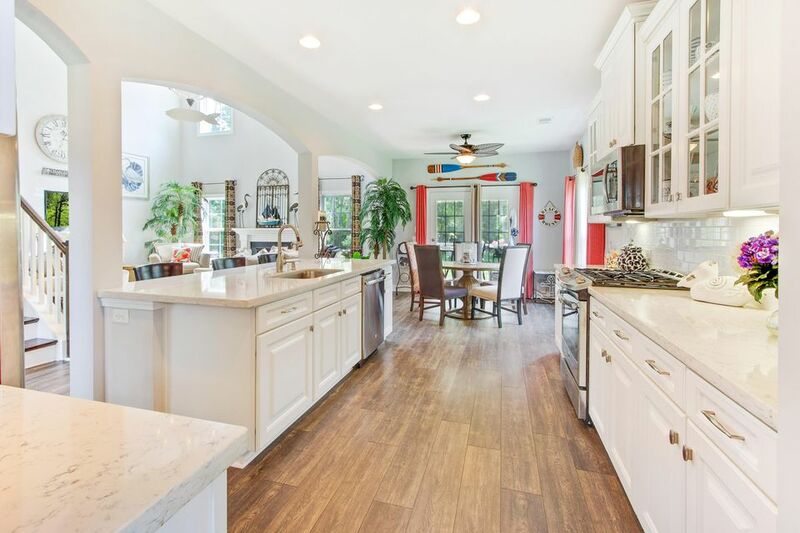 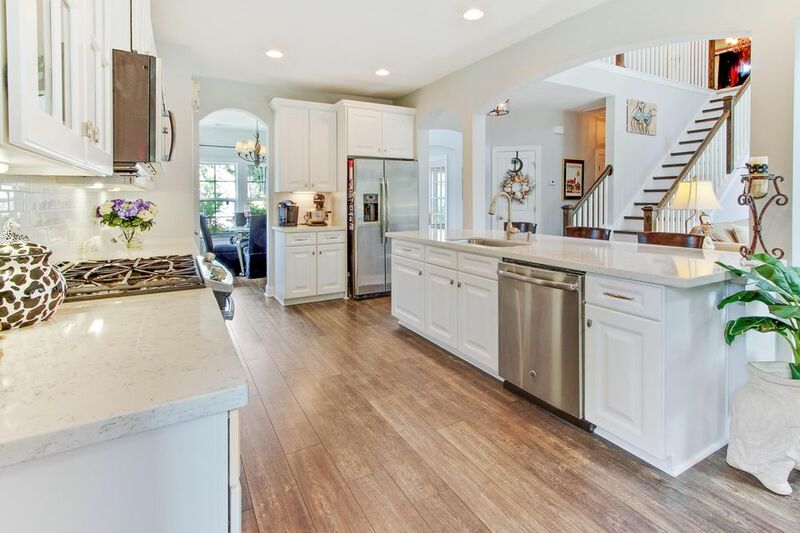 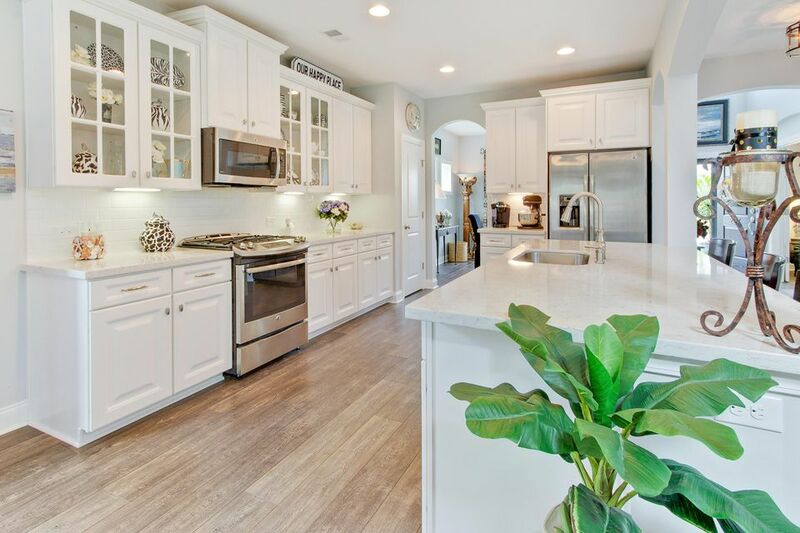 The kitchen is incredible and has every upgrade available...extra recessed lighting, granite countertops and island for breakfast seating, subway tile backsplash, glass front cabinets, stainless appliances including gas range, sliding drawers for convenience in the low cabinets, and much more! 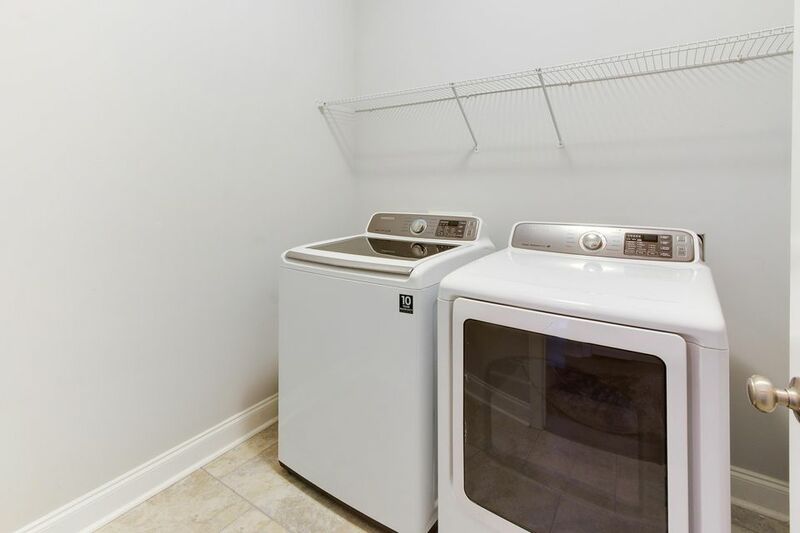 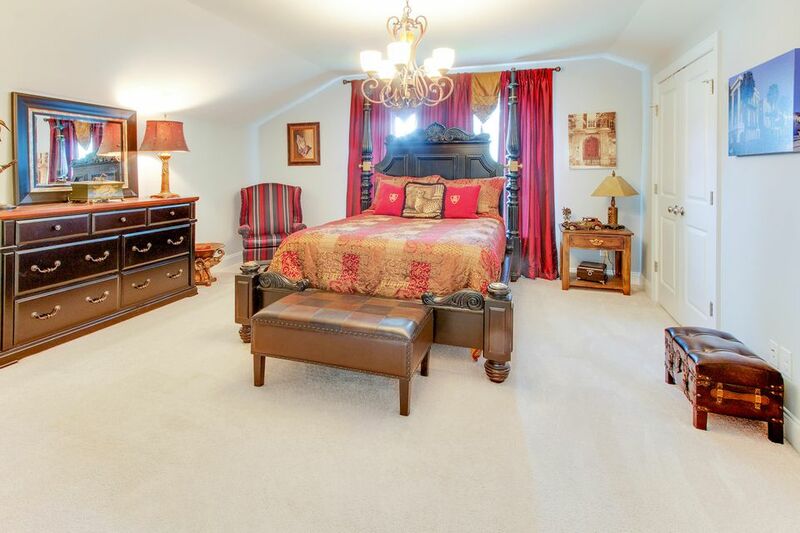 The master bedroom is also located downstairs, down a hallway that includes the guest bathroom and laundry room. 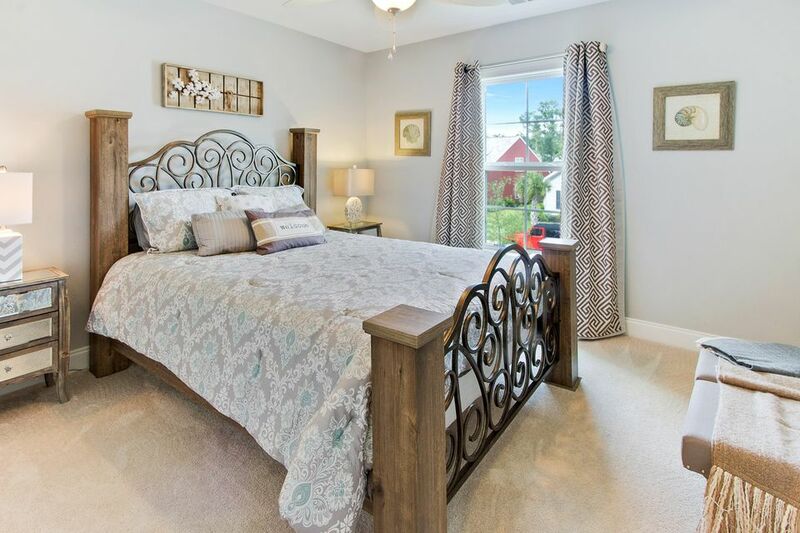 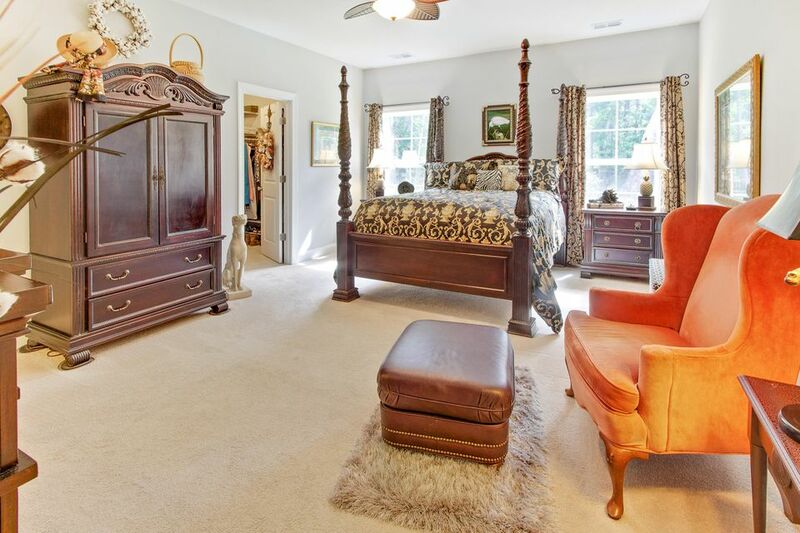 The master bedroom has a large walk-in closet and overlooks the private backyard. 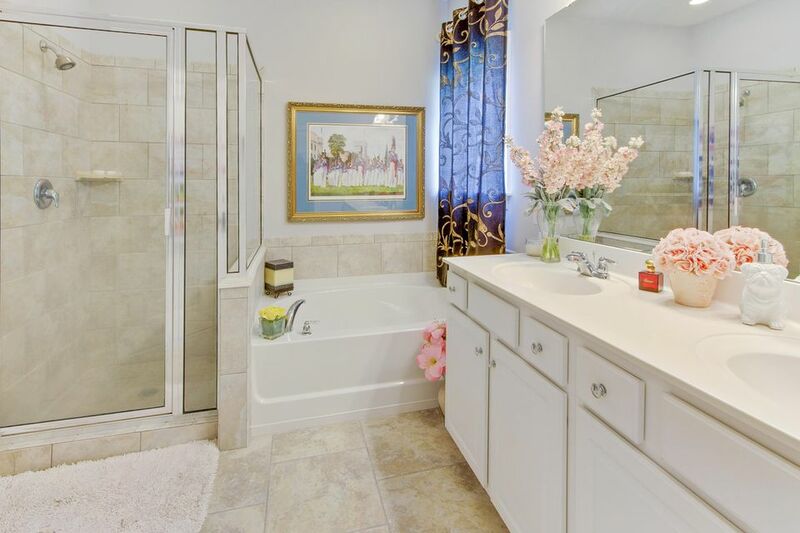 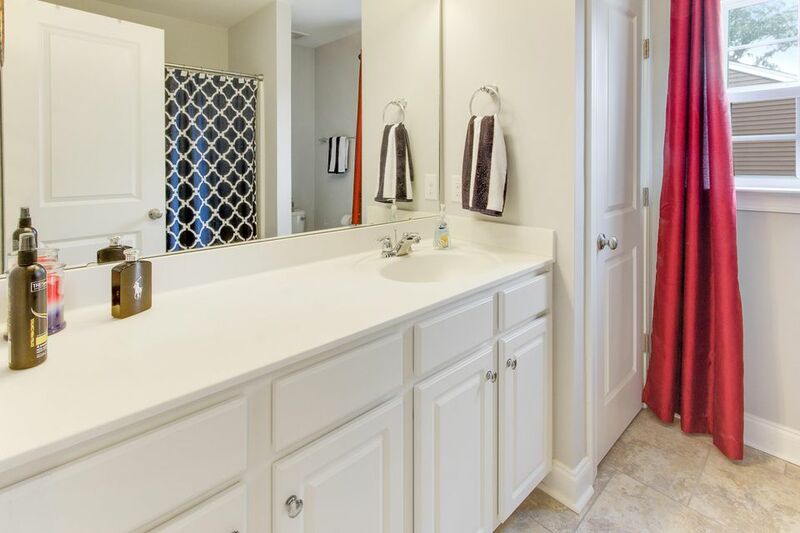 The master bathroom includes a tiled walk-in shower, separate garden tub, dual sinks, and tile floors. 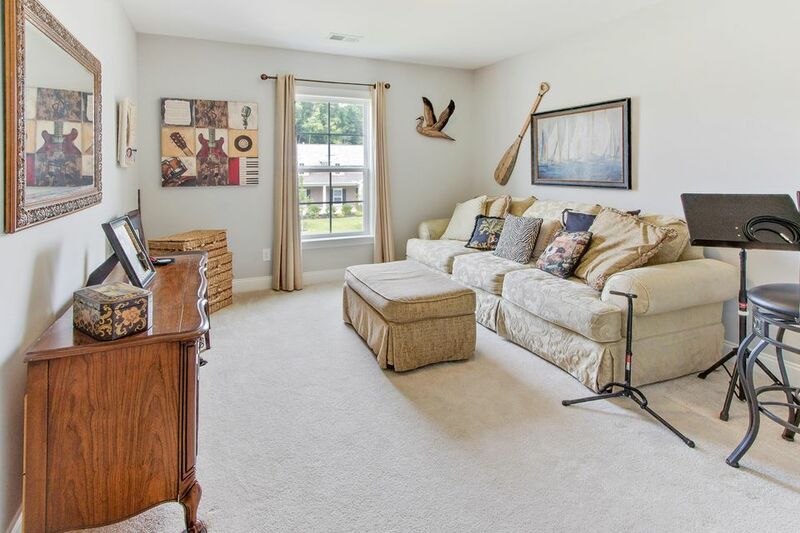 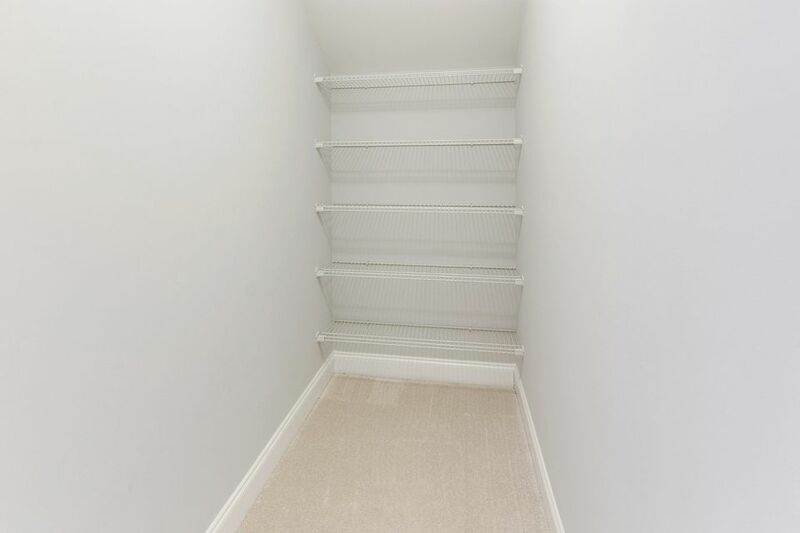 The 2nd floor hallway is open to the downstairs living area and includes 4 additional bedrooms, a full bathroom, and a large and very convenient storage closet. 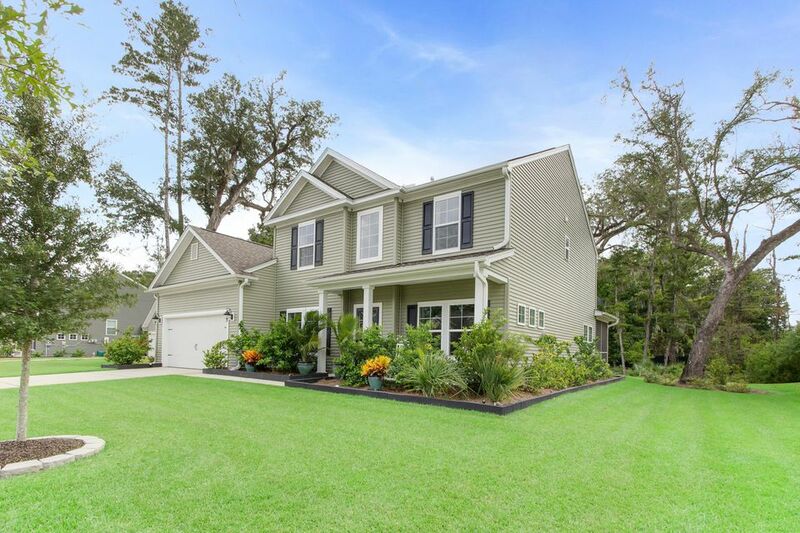 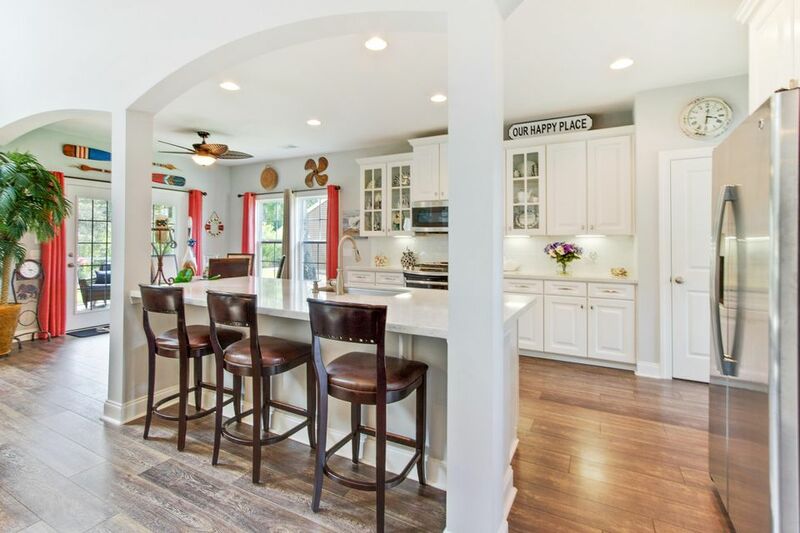 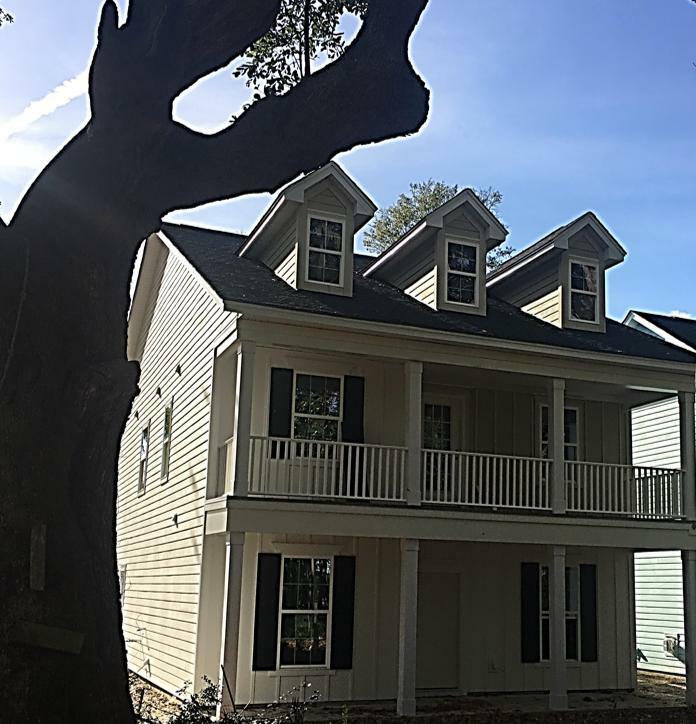 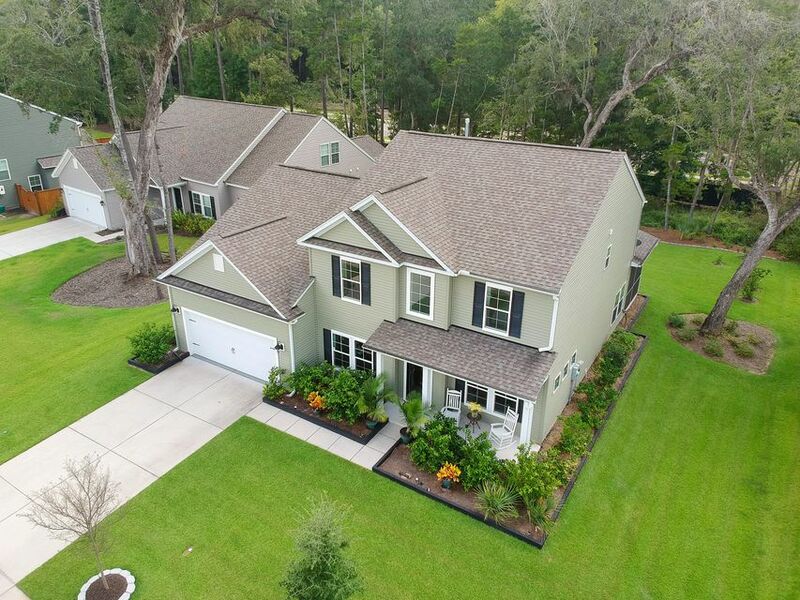 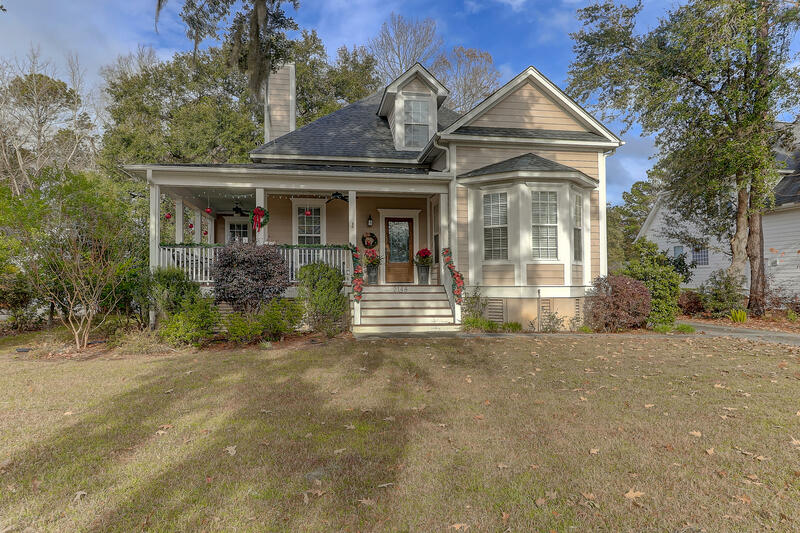 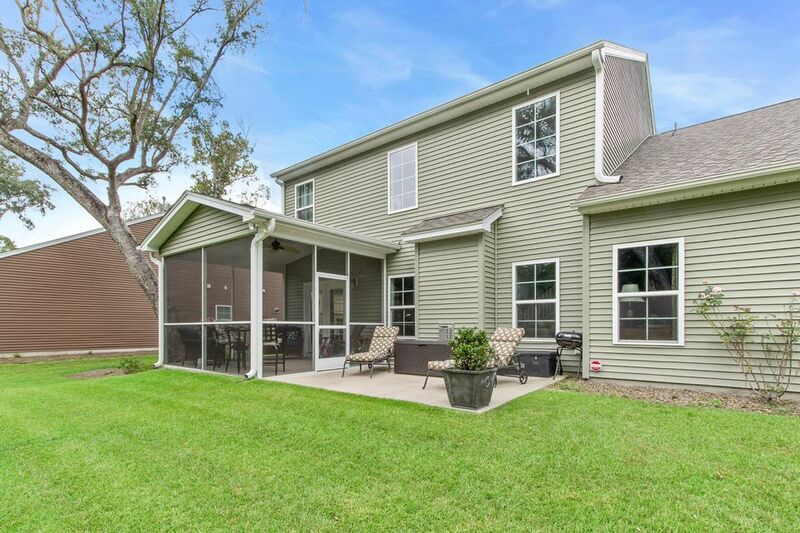 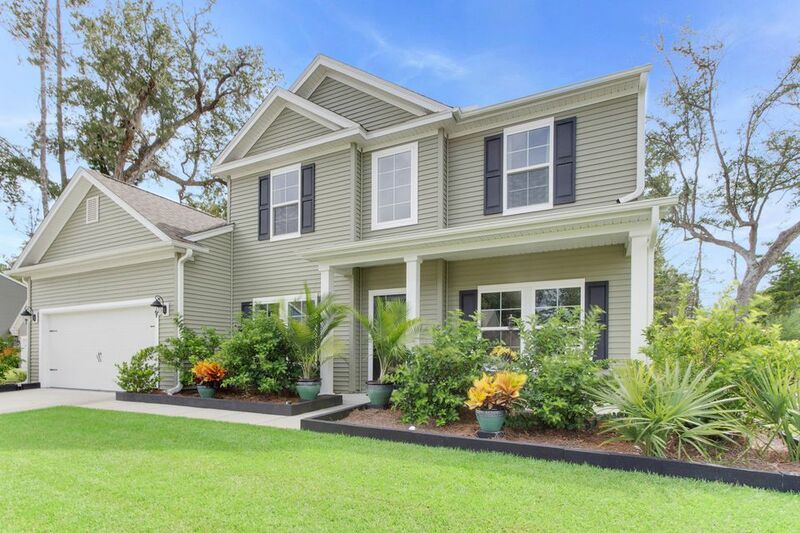 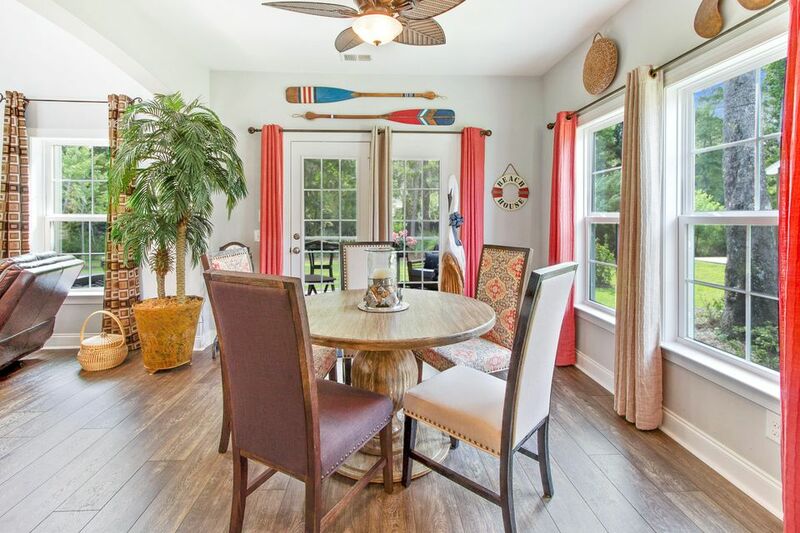 Grand Bees is a quiet community with well maintained homes and yards, close to parks, walking trails, local shopping and just a short drive to downtown Charleston.